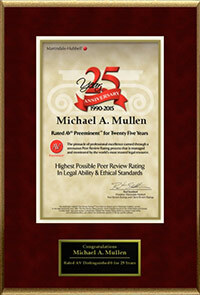 Michael Mullen is one of the founding partners and has been the managing partner since 1988. 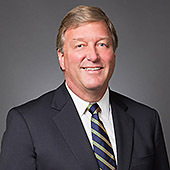 Mr. Mullen has earned a reputation as a successful trial lawyer throughout the state and has tried more than 100 cases. He was instrumental in expanding the firm’s base practice into the west coast Florida, Broward, Palm Beach and Monroe counties, at its founding and during the early years of growth. Eventually, he opened a West Palm Beach office to serve its clients’ needs more expeditiously and cost effectively throughout the whole state. Mr. Mullen has concentrated his practice in the fields of product liability, professional liability, including medical practice, attorney malpractice, and accountant malpractice and medical device litigation. 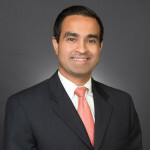 As panel counsel for several commercial carriers, his practice also includes child abuse and sexual abuse defense, nursing home litigation, premises liability, negligent security, construction accidents and construction defects. Mr. Mullen has been involved in handling not only the defense of these large exposure cases, but also insurance coverage issues as they have related to primary, excess and reinsurance layers of coverage. 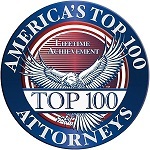 Mr. Mullen is admitted to practice in all Florida state and federal courts including the United States Circuit Court of Appeal. Besides being a member of the Florida Bar, he is a member of several professional legal organizations which parallel his fields of practice. 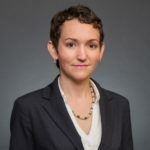 These include the American Society of Law and Medicine, a Senior Fellow of the Litigation Council of America, Order of Justitia, and a Member of the Council on Litigation Management. In addition, he is an Advocate with the American Board of Trial Advocates. He has served as an officer of the local Miami Chapter of ABOTA for the last several years including serving as its President in 2014. He has also been the state delegate to the Florida Board of Trial Advocates (FLABOTA) and a national delegate to the National Board of ABOTA. He is also a member of the Third District Court of Appeal Historical Society. 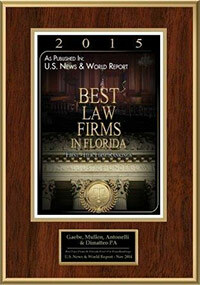 In addition, Mr. Mullen has been AV Peer Review rated by Martindale-Hubbell Law Directory for over twenty five years and has been selected for inclusion in editions of the Florida Super Lawyers, the annual List of the Top Lawyers in Florida, the South Florida Legal Guide and Best Lawyers in America.